Features:1. 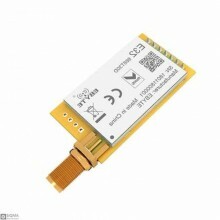 Frequency:315Mhz2. Modulation:ASK4. Emission power:15db@12V5. 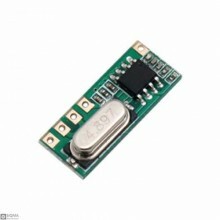 Voltage:4.2~12V6. Electric.. Features:1. Frequency:433Mhz2. Modulation:ASK3. Emission power:15db@12V4. Voltage:4.2~12V5. Electric.. 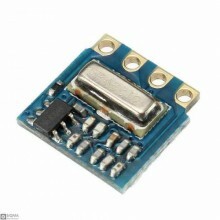 Features:Operating frequency :315MHzOperating Voltage :5V (4.5-5.5V)The general super-regenerative r.. 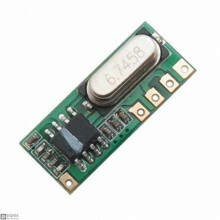 Features:Operating frequency :433MHzOperating Voltage :5V (4.5-5.5V)The general super-regenerative r.. 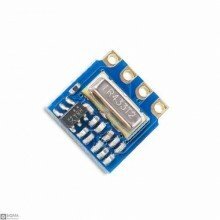 Features:RF IC : SX1276Model : E45-TTL-1WInterface : UARTPower : 30dBmDistance : 8000mAntenna type :.. 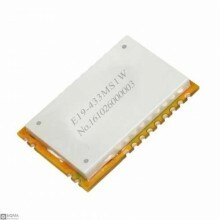 Description:E44-TTL-100 is a 100mW wireless transceiver module with LoRa spread-spectrum technology,.. 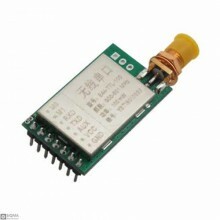 Features:RF IC : SX1278Model : E19-433MS1WInterface : SPIPower : 30dBmDistance : 10000mAntenna type ..